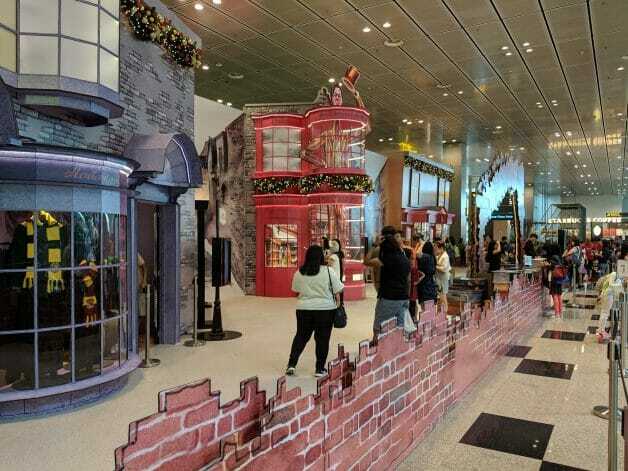 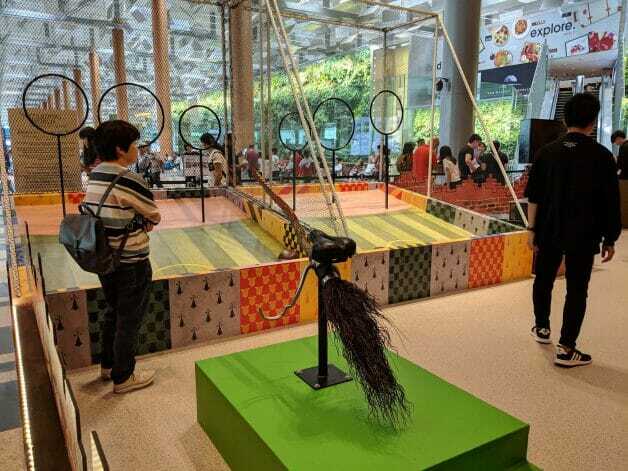 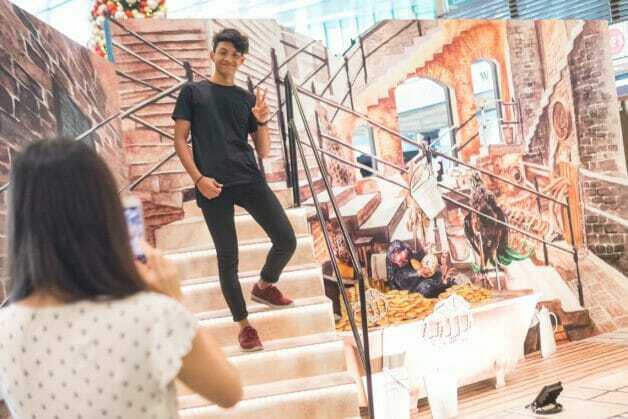 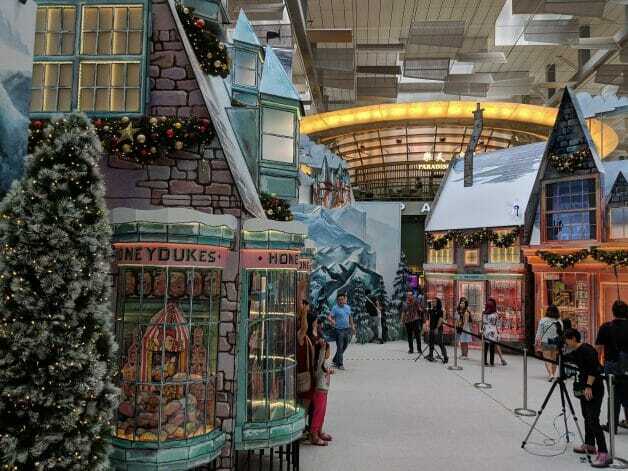 Harry Potter fans having fantasies of escaping to Hogwarts School can now experience the magic of a wizarding world inspired by Hogsmeade Village at Changi Airport. 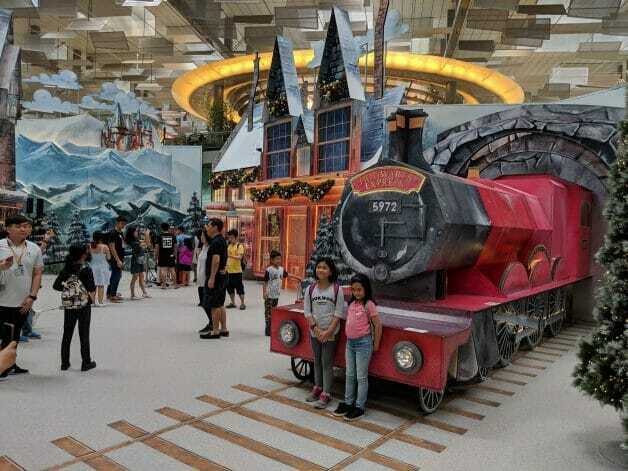 Enjoy beautiful snowy decorations, activities and exclusive Harry Potter merchandise during the 3-month long installation. 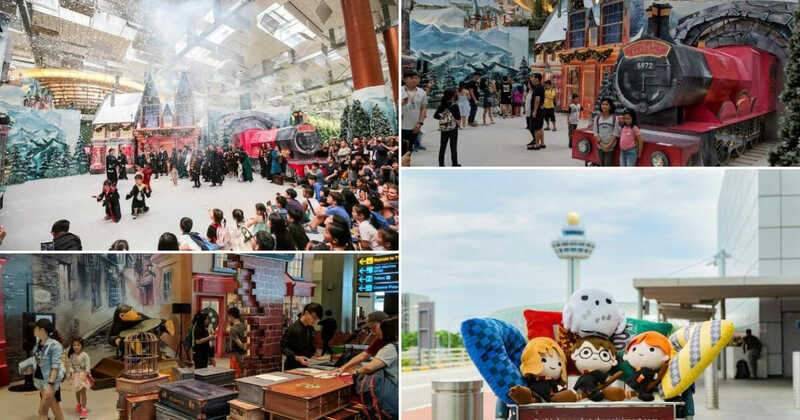 Including experiencing special snow and light shows. 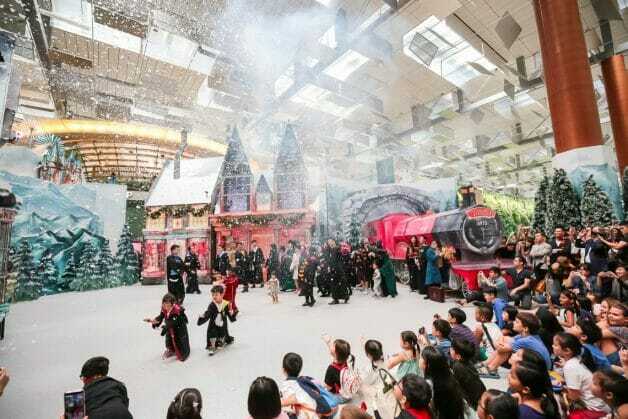 The show will be held at Hogsmeade Village located at T3 Departure Check-In Hall, Level 2. 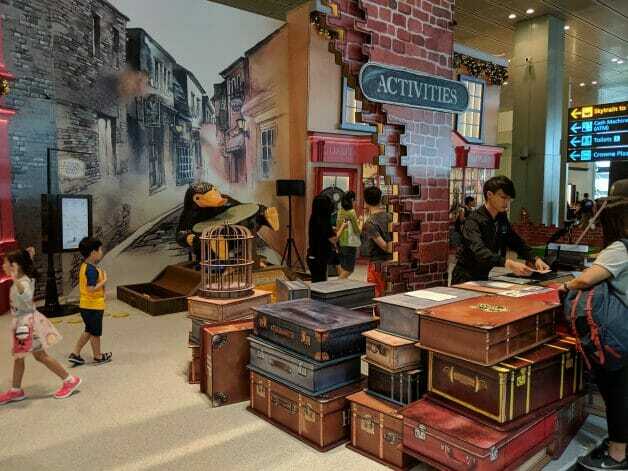 There are a lot of photo opportunities, including getting your very own moving photos inspired by the Daily Prophet at the photo activity area. 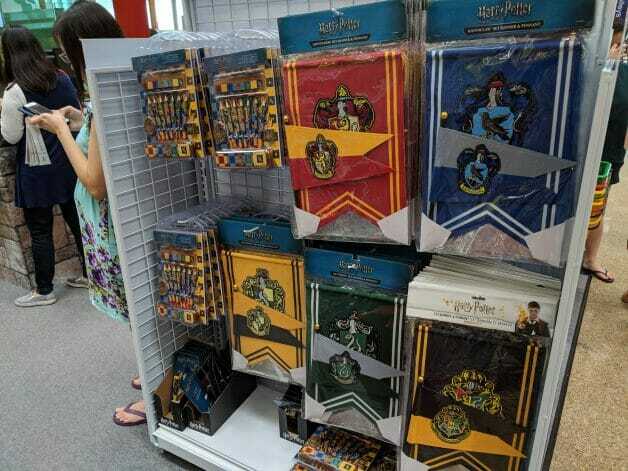 Fans can also pick up exclusive Harry Potter merchandise at this booth in T3 Departure area. 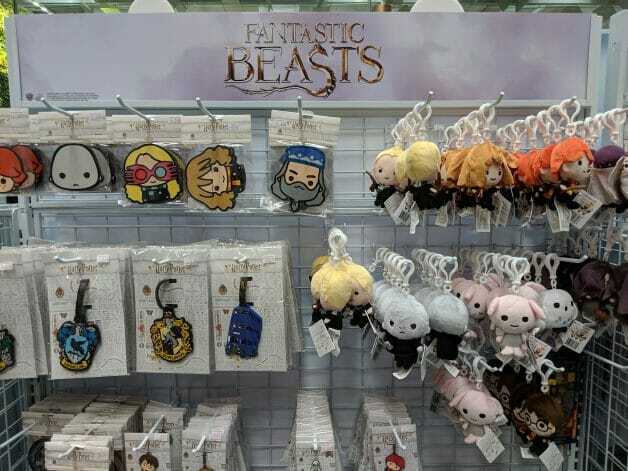 Fantastic Beasts merchandise are up for grabs too. 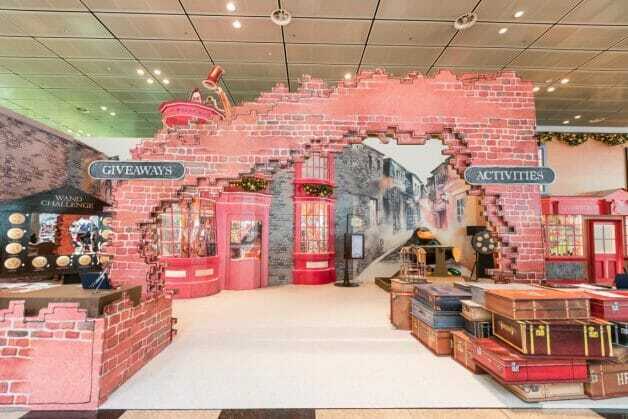 Fans can also participate in games and activities at the Diagon Alley-inspired setup in T3. 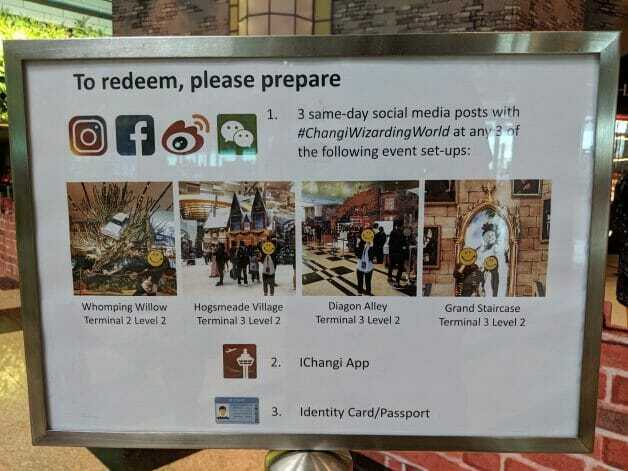 Simply post 3 photos of the event on Facebook or Instagram with hashtag #ChangiWizardingWorld and show them to the staff to enjoy two activities here. 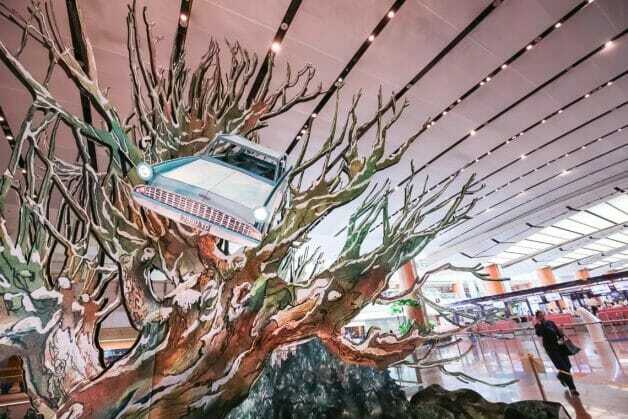 Besides the Wizarding World setup at Terminal 3, Harry Potter fans can also find the Whomping Willow from Harry Potter films (Terminal 2) and Newt’s Menagerie (Terminal 1) as seen in the film Fantastic Beasts: The Crimes of Grindelwald. 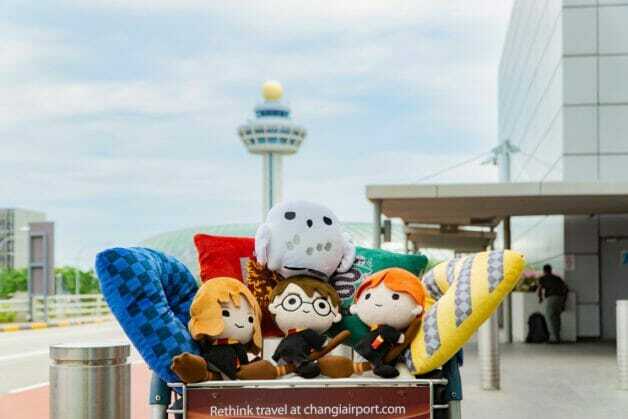 Last but not least, don’t forget to redeem these adorable Harry Potter merchandise when you spend at Changi Airport. 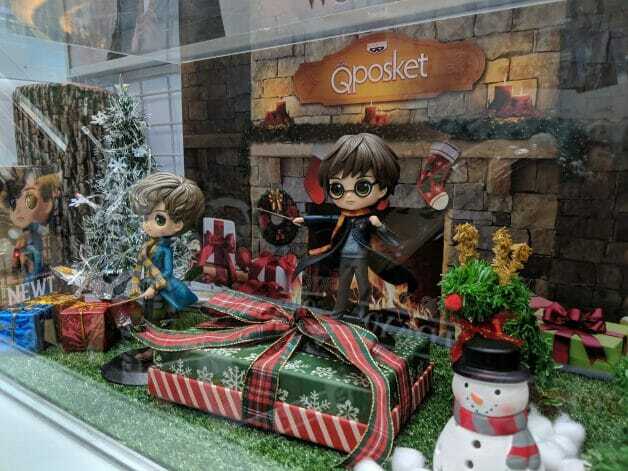 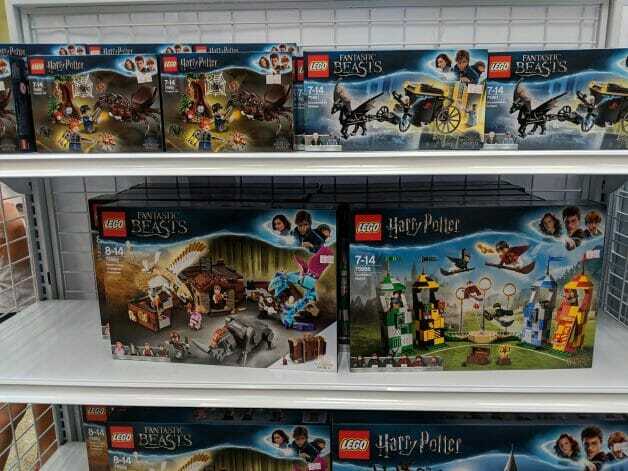 There are a total of 8 limited edition Harry Potter items to collect – 4 plush toys and 4 travel pillows available for purchase at $10 each, with a minimum spending of $60 in public areas ($120 in transit and supermarkets). 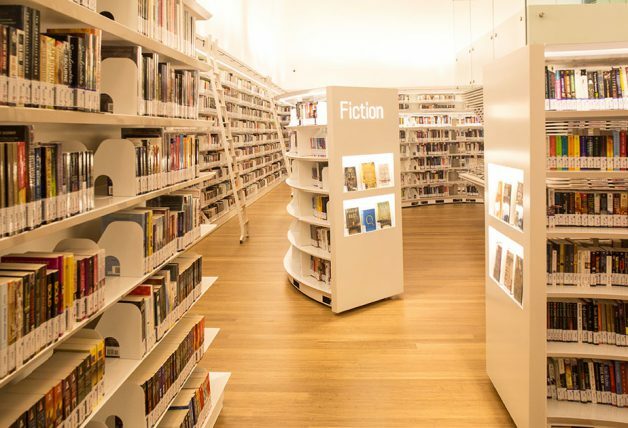 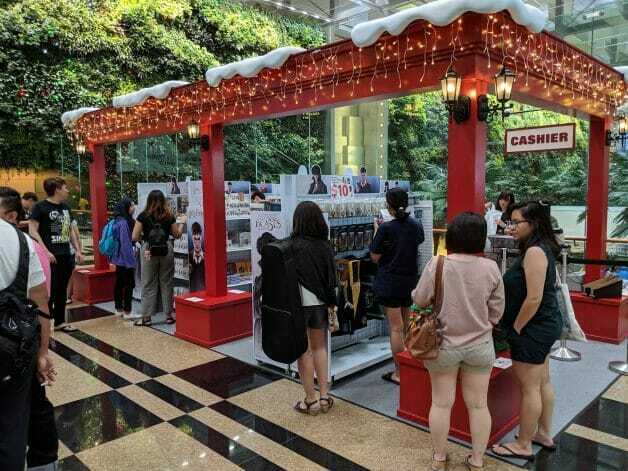 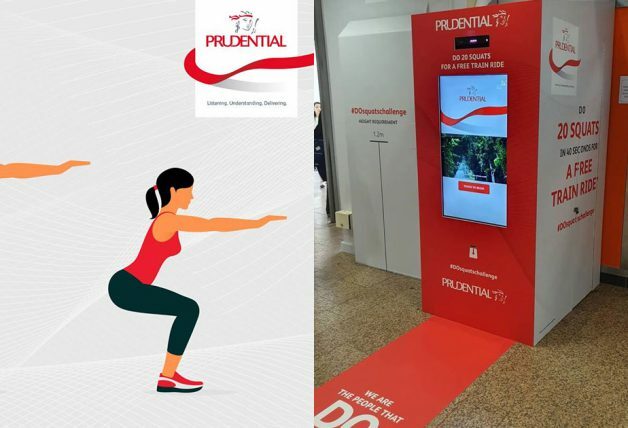 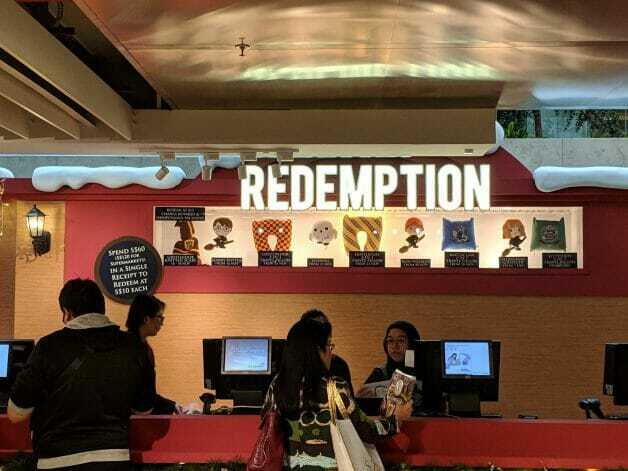 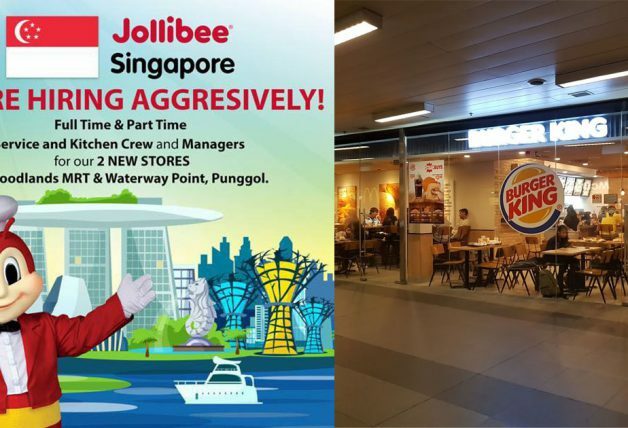 The redemption counter is located at basement 2 in Terminal 3, at the area opposite the Kopitiam food court.